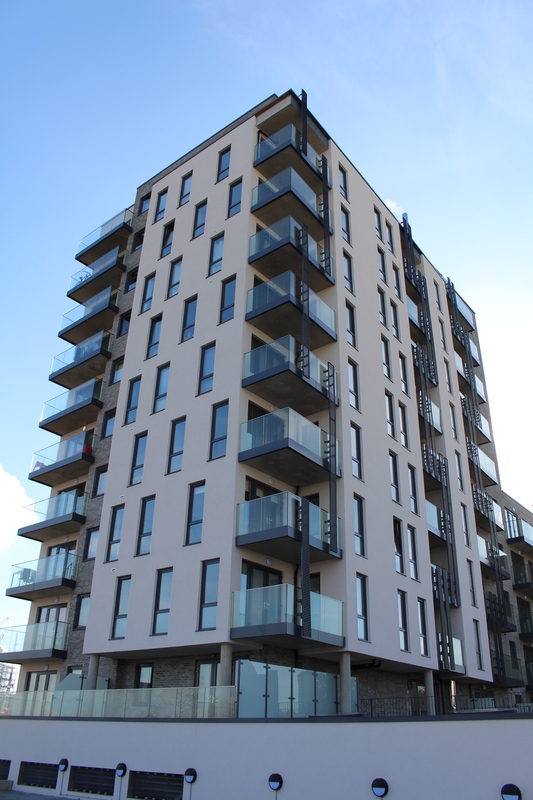 A New-build block of luxury high end residential apartments in the E14 (Limehouse area). 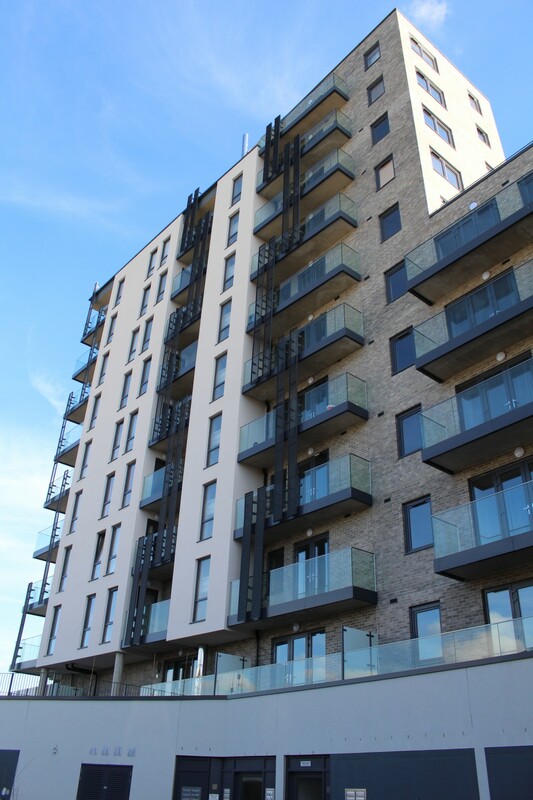 West Drylining & Facades Ltd have successfully completed another SFS and Cladding Facade E14 project, this time with Mizen at Leven Road E14. 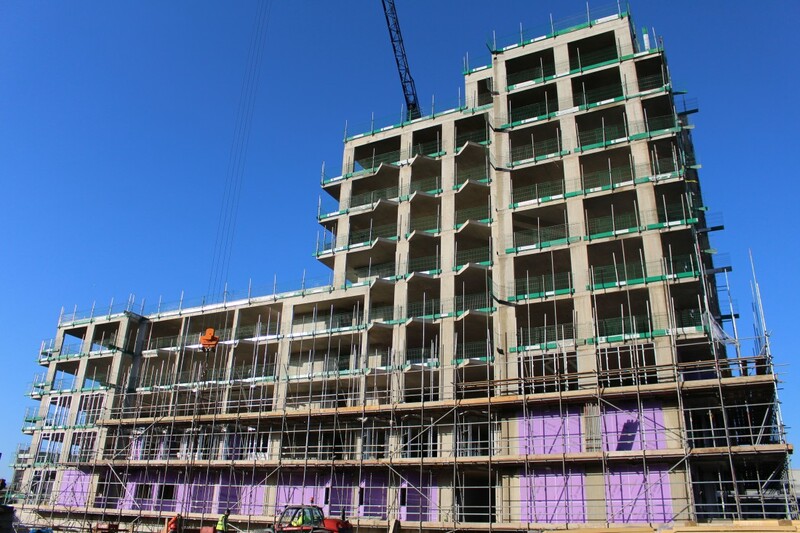 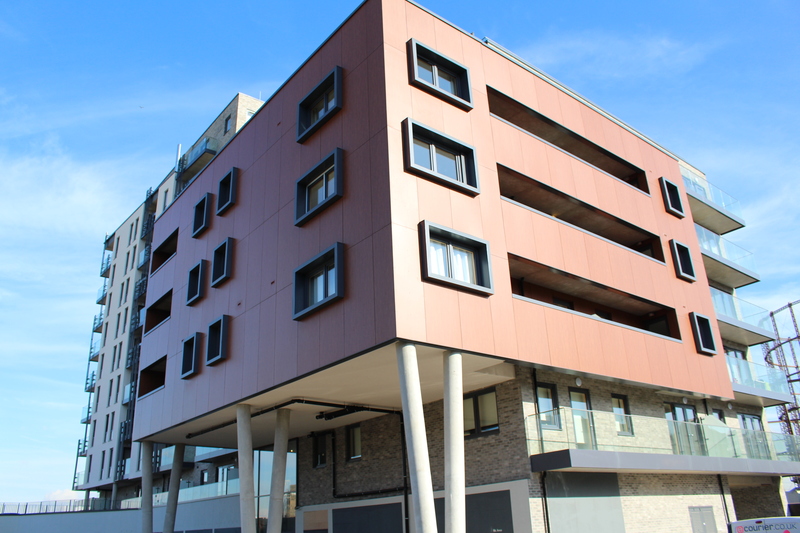 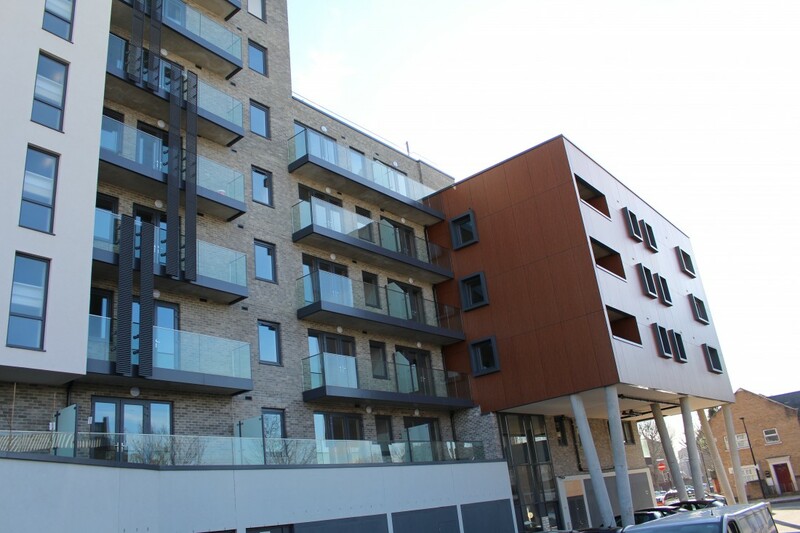 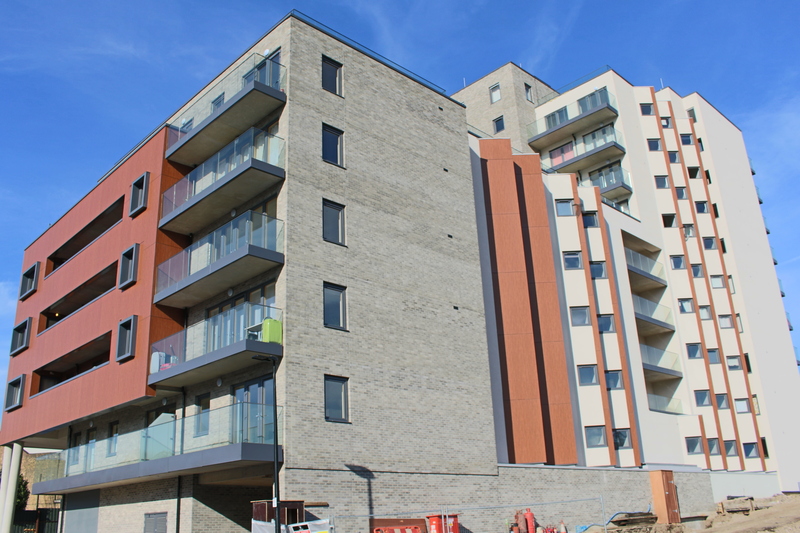 Our contract Included external Knauf EWI render onto Siniat weather defence boards, SFS, insulation and Fundermax cladding to a new build apartment building in the Limehouse area. 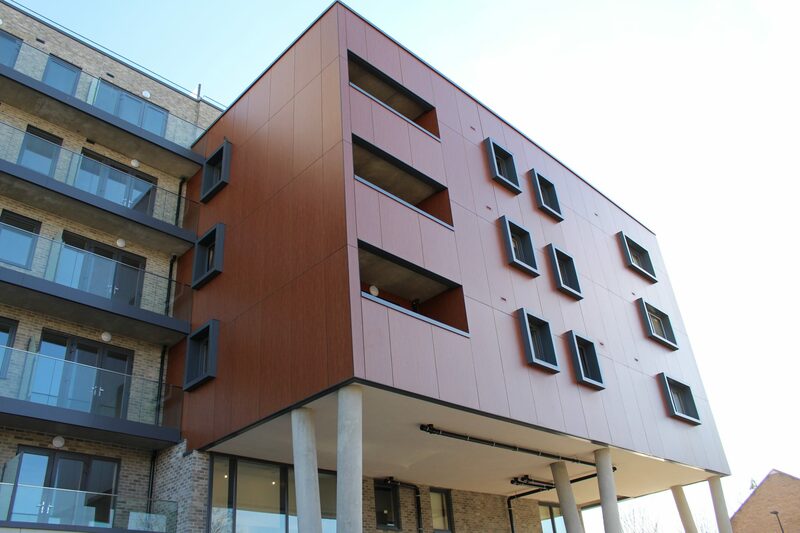 The building had a number of oriel windows with some simple clean vertical lines of cladding between a rendered facade, with balconies and pre-fabricated punch windows. 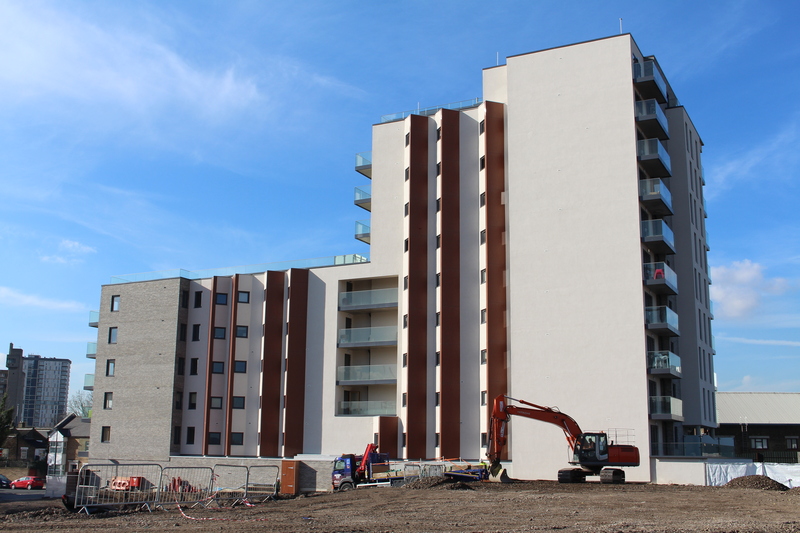 We were on site just over 4 months and doesn’t it look good! !